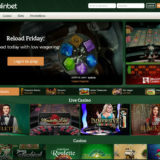 Dublinbet adds Betgames - A different set of Live Casino games. Dublinbet has given their casino a makeover, moving away from the more traditional looking website to something more modern and responsive. In my opinion, it’s certainly an improvement, looking more visually appealing. But that’s just half of it because Dublinbet adds Betgames to their list of live casino suppliers. 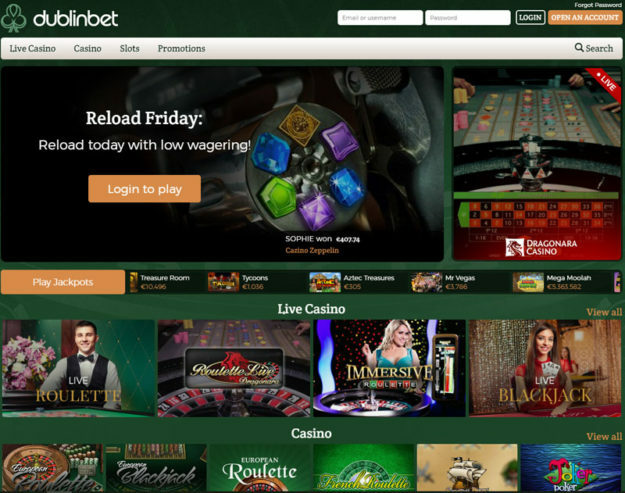 This is a significant step as BetGames don’t have the traditional set of Live Casino games. 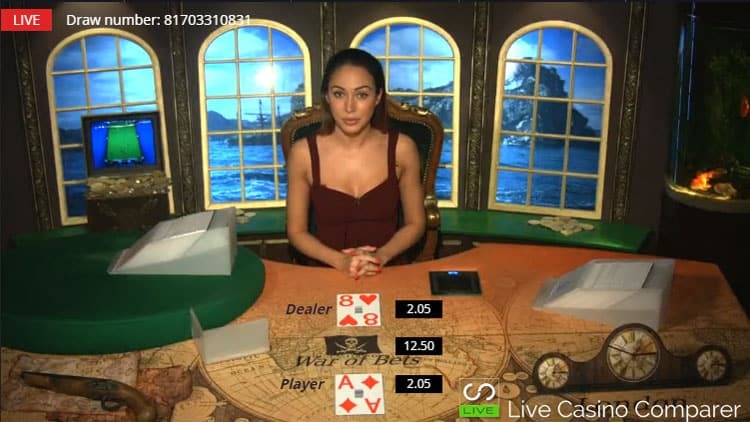 They’ve got four different types of games that will appeal to traditional table games players and people that like to make bets on outcomes. There are two live Lottery based games, Lucky 5 and Lucky 7. Live draws are made every 5 minutes. This this is Lottery with a difference. You’re not just betting on the numbers, there is a whole range of different betting combinations, such as colours, sums, odd/even’s. This is a poker derived game based on Texas Hold’em. It’s not the same as Casino Hold’em as your not playing against the dealer. Instead, you’re betting on which hand will win. The other difference is there are 4 betting rounds when you can place bets. The odds for each betting round are re-calculated. You can bet on which hand will win and what the value of that hand is likely to be. 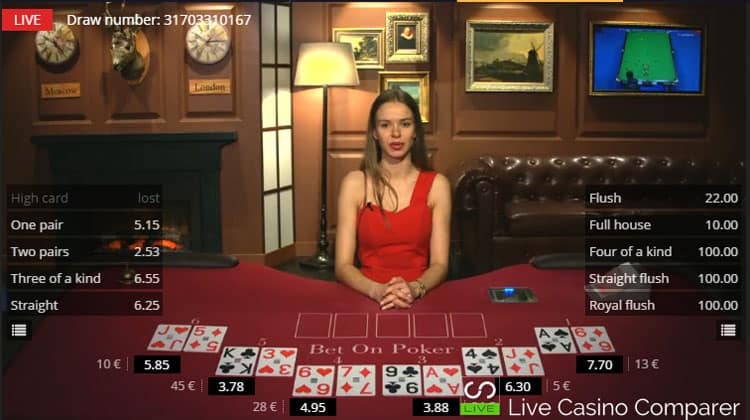 This game is played exactly the same as normal Baccarat, but there are three betting rounds instead of one. The odds are recalculated after each card has been dealt, so you’re able to make different bets as the game continues. A very simple game, you bet on whether one hand will be higher than the other. There are a couple of betting rounds, one before and after the first card is dealt. There’s only one dice game and it plays in a similar fashion to Sic Bo. 5 dice are rolled and you can bet on loads of different result combinations. A familiar looking game if you’ve ever visited a land based casino. they tend to have the wheel of fortunes near the cashier desks. You bet on what the winning number or symbol will be. The games from Betgames adds something different to the live casino offering from Dublinbet. It may not be everyone’s cup of tea, but I surprised myself and actually liked the different betting options you get with the games and the way the Bet on Poker and Bet on Baccarat games play. 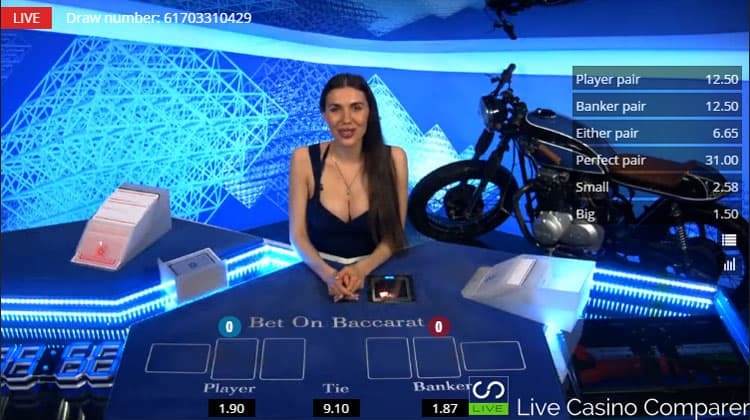 Dublinbet still have live games from Ezugi, Evolution and Visionary iGaming, so you have plenty of options and some great suppliers to choose from.